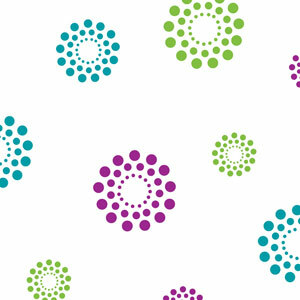 Teal and Pink Square Confetti Cellophane Roll 24 inches wide x 50 ft long. 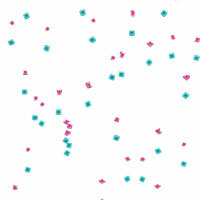 Teal and Magenta square confetti scattered on a clear background. Perfect for wrapping gift baskets, presents, boxes, use it as a disposable table runner and much more.